Mutlilotto, an online lottery betting operator, has recently announced the promotion of Christian Hellbjer to the position of chief executive after the departure of Thomas Biro. Hellbjer has been working with the company since January of 2016, where he first served as the financial controller before he moved on to a new position of CRO in October of the same year. He will be replacing Biro, he decided to leave the company after working as its CEO for seven years. Talking of his new role, Hellbjer said that it was an honour for him to be taking over the role as CEO, and that he is excited for the opportunity to guide the team to higher levels, and to continue building on their current foundations. In the meanwhile, the operator has also appointed a new head of operations in the form of Mark Knighton, who former worked as Svenska Spel. 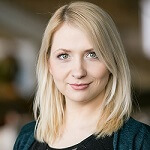 Knighton was formerly a principle consultant for the Obsidian Consultancy, and worked for four years a chief sales officer at Sweden’s Svenska Spel. Knighton told reporters that it’s as an exciting time to be joining the company that has been making headway into the online lottery industry, and that he’s looking forward to playing a key role in keeping the company moving forward. 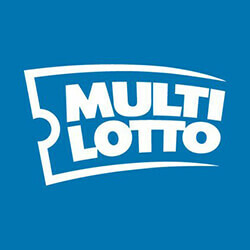 Multilotto allows users to wager on the outcome of any major, national lotteries from around the world, which includes the Powerball and Mega Millions lotteries based in the United States.